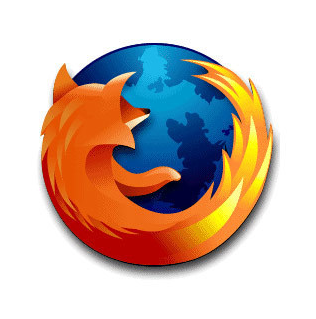 Can the Mozilla Firefox OS really be the next best gadget on the market? Mozilla announced earlier this week that their two new smartphones, the Keon model and the Peak model, will be shipping to developers shortly who plan on making apps for its open-source platform. These developers plan on creating a new spin on apps that will be available through an open-web standard. This new wave of smartphones will be open to the public for purchase in early February. As mentioned earlier, there are two developing types of smartphone within the name of Mozilla’s Firefox OS: the Keon and the Peak model. The Keon model is less advanced than the Peak model that has faster CPU (central processing unit) and an eight megapixel camera. With HTML5 apps, these smartphones will be able to do what a normal phone can do: vibrate, send text messages, and make phone calls. But lo and behold, Mozilla’s specialized apps will not be limited to just the smartphone. These HTML5 apps can be accessed through multiple devices via its open-web platform. Mozilla will be competing against three other mobile carrier devices that will be launched later on in the year and in early 2014: Samsung’s Tizen, Jolla’s Sailfish, and Canonical’s Ubuntu. As stated by Forbes Magazine, Mozilla’s Firefox OS will primarily become available to Brazil through “a partnership with Spanish telecoms giant Telefonica,” before making its way over to the United States and Europe. Having a partner to backup their endeavors demonstrates Mozilla’s stable plan to branch out across the market to success. And, seeing as the Firefox OS is just a platform for future success, not very many phones are needed to be sold in order for Mozilla’s progression up the ladder to continue. The Firefox OS is much cheaper than other smartphones already on the market. There is no set price on these new devices, but you are paying for what you get. While these phones may be cheaper in the long run, the technology of the phone is lacking compared to other renovated devices made by Apple and Google. For example, Mozilla created, and is still creating, their own HTML5 apps that are not as advanced as their superiors’ fast and freshly enhanced apps. But, to those who plan on abandoning their old brick phones to something lighter and much more smooth-running, the Firefox OS proves as a great introduction to touch screen and apps technology. At this point, you are probably wondering what exactly an HTML5 app is. It is basically a compilation of websites that are accessed on the phone’s browser. The idea is that the phone’s user interface will be a Web app that has the ability to display other Web apps on a nifty sized screen. Using HTML5 apps lowers the price of the smartphone, which is exactly what Mozilla needs to do in this rapidly growing economy. Afterall, it is their first attempt at making such useful devices. And through trial and error and years to come, the Firefox OS may just be the next best thing to take down Apple and Google.